I got new t-shirt! Super cute right?! Sesame Street style! Actually I have been dying to watch this movie, so I made a promised to must watch this movie before New Year if not don't have the feel already. You see the point? 2 days ago, I asked Maria to watch with me because everyone was reluctant to watch it with me, guess they all hate me lol you know i'm veryparanoid one! We went to check the timings 2 days before, and to our surprised most of the cinemas ( city area) for New Year's Eve ( Movie ) have been booked full house already. Seriously, I think they should just add in more slots or timing for this movie. It is like so popular, plus I think it's so close to new year.. very obvious people would want to watch it right? LOL So, Maria went to try her luck and went to Lido, Shaw and thank God, there were still 2 seats left for the 830pm show, plus it's all the way at the top. This must be unbelievable but i think someone back out for the movie thats why lol. I actually have no comments for this movie, I just want to say that the whole story was "perfect" to me. 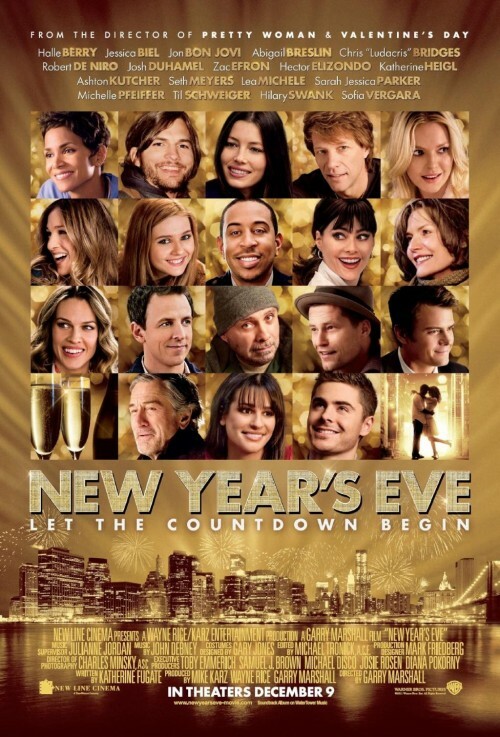 It can actually to relate to me because in this movie, there are many different people, and each person, it tells a story of them on how they spend their New Year's Eve. The most important thing I learnt, is to stay together. Love the ones that appreciates you the most and to keep on chasing your dreams. Do not let small matters, such as criticisms take over you because they will only demoralize you and make your appearance & personality look bad. To me, I think sticking to your family or Bf/gf will be the best moment to spend the New Year with because they are the ones that can give your the feeling of secure. I'm not trying to say that going out with your friends is not a better idea but of cos I will put family to my priority. I'm sure you won't get left out by your friends, but in the end of the day they still have to go home and find their family right? (: You won't get the "warmth" feeling like you can get from your friends. Btw, I'm just speaking from my view. Overall this movie is awesome i don't mind rewatching!